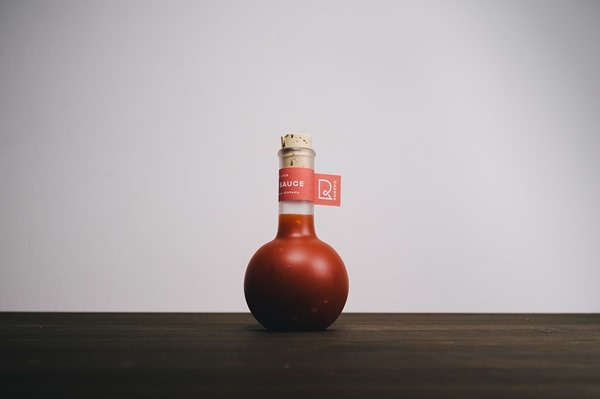 This is a hot sauce project worth checking out. It’s called Rubedo Hot Sauce and it looks amazing. So check out some great bottled hot sauce packaging. 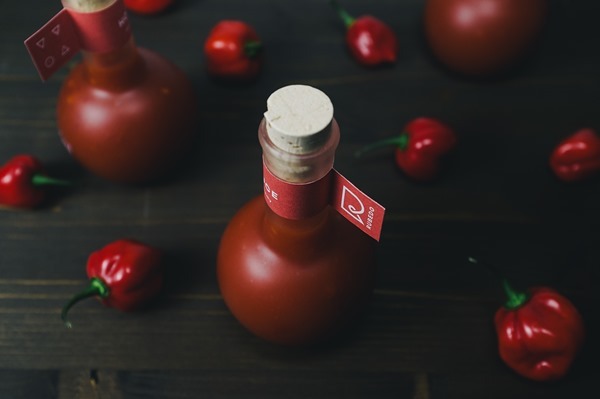 A bottled hot sauce packaging that stands out among all other hot sauces? Is that even possible? Most hot sauces is designed to look so hot you have to be mad to try it. 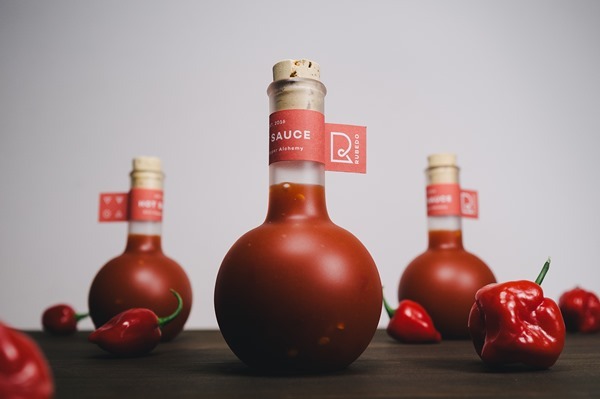 Designer Stefan Andries went in a different direction with his project Rubedo Hot Sauce. Instead of going for that standard Tabasco shaped bottle he looked to the world of alchemists and came up with something different. This bottled hot sauce packaging uses a different type of bottle. It has a regular neck but instead of the standard bottle shape it is a round base at the bottom. The glass is not completely clear but a bit foggy. 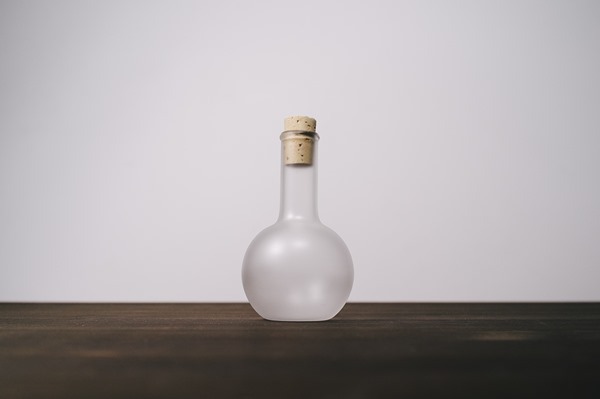 This simple change out of the ordinary makes the bottle stand out among its competitors immediately. The design of the Rubedo is simple. 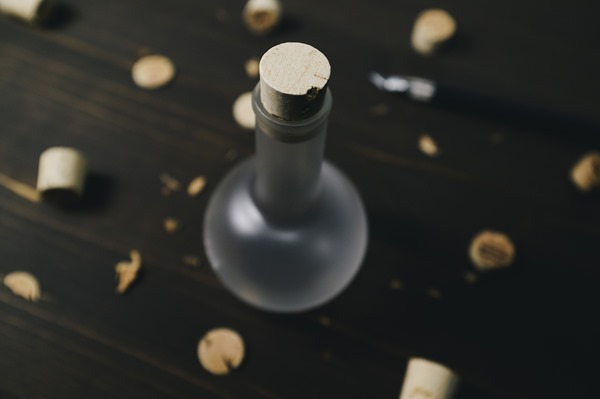 A cork to keep the sauce from spilling out and a small label around the bottle of the neck. That is all there is and as you can see that is all it takes. I just love how he didn’t go the macho way with this hot sauce and just kept it simple and great. Here is what designer Stefan says about his story behind the project. For more of his work visit him online here. For a full list of great Hot Sauce Packaging Designs head over here. Meaning ‘redness’ in Latin, Rubedo was the word adopted by alchemists to describe the fourth and final phase in their Magnum Opus and their quest of creating the Philosopher’s Stone. 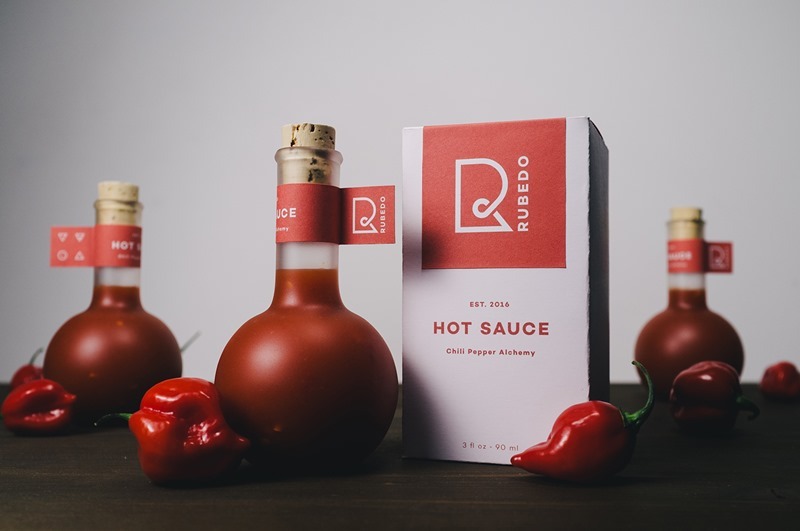 Based on a secret recipe, using homegrown chili peppers and some basic alchemy skills Rubedo is a hot sauce like no other.